Access the latest white papers, research, webcasts, case studies and more covering a wide range of topics like physical security and data protection. 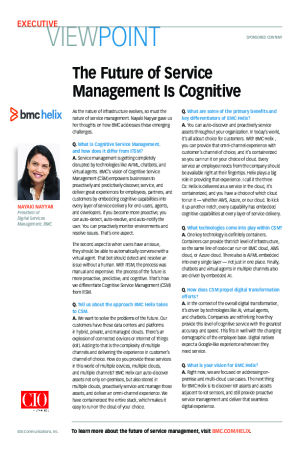 Nayaki Nayyar of BMC explains how business can be ready for this next phase in cognitive service. 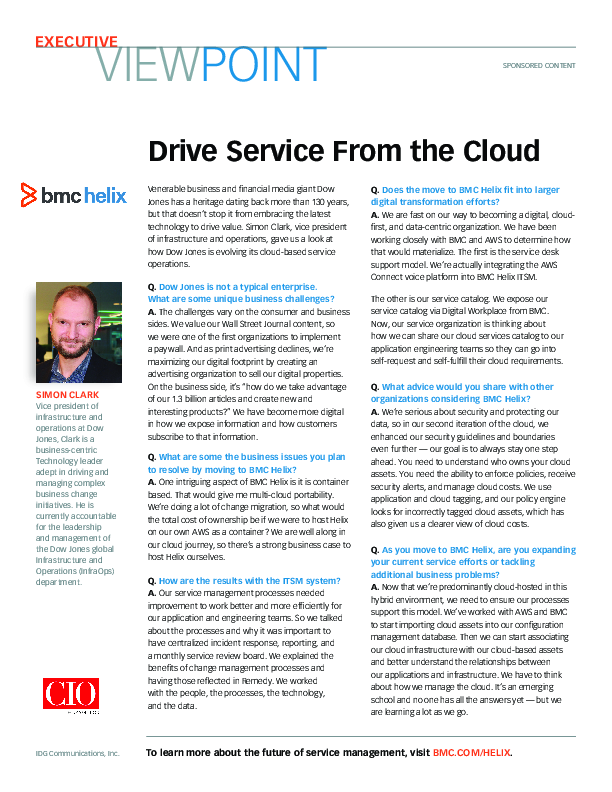 Legacy media company Dow Jones is now focused on a digital future and accomplishing that change with container-based cloud technology. Simon Clark, vice president of infrastructure and operations with Dow Jones, gave us a look at how the company is tackling digital challenges. 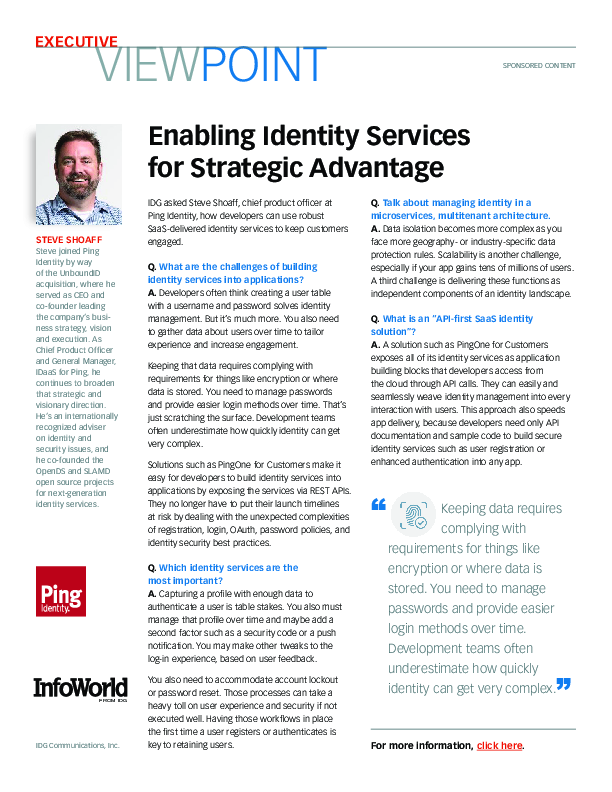 IDG asked Steve Shoaff, chief product officer at Ping Identity, how developers can use robust SaaS-delivered identity services to keep customers engaged.